This riveting drama details the explosive 1991 Clarence Thomas Supreme Court nomination hearings, which brought the country to a standstill and became a pivotal moment in American culture, forever changing how we perceive and experience workplace equality and gender politics. 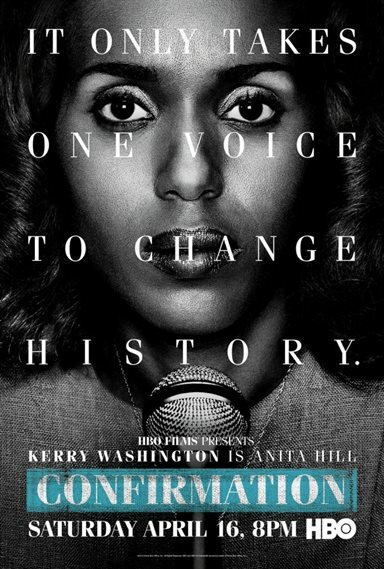 Kerry Washington, Wendell Pierce and Greg Kinnear lead a stellar cast in this film that pulls back the curtain on the hearings of Thomas--a man whose nomination came under fire when a former employee, Anita Hill, accused him of sexual harassment. What follows is a fascinating recreation of the drama that unfolded in public and behind closed doors, focusing on Thomas and Hill and their support teams as well as key Committee members and advisors including Joe Biden, Ted Kennedy, Arlen Specter, Orrin Hatch, and others. Download Confirmation in Digital HD from the iTunes store. 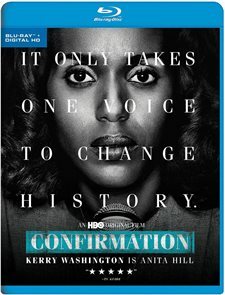 Confirmation images are © HBO. All Rights Reserved.